Increasingly people are tracking and keeping close scrutiny over their spending, and your Filofax stands ready to help you with this. 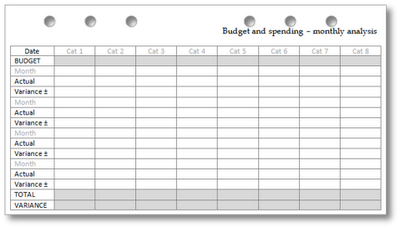 I have designed two different pages to support budgeting in the Filofax Personal. 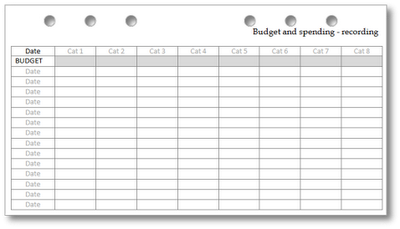 What you'll do on this sheet is track your day-to-day spending. 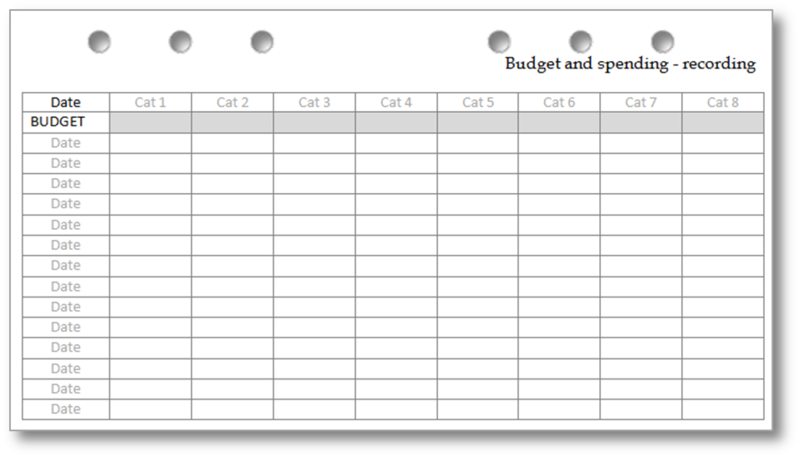 Along the top of the page you can name up to 8 budget categories (using multiple sheets will allow you an unlimited number, but eight is a sensible and manageable number for most people) and you can note the monthly budget you've set for each category. Underneath you can track your spending day-by-day, by category. 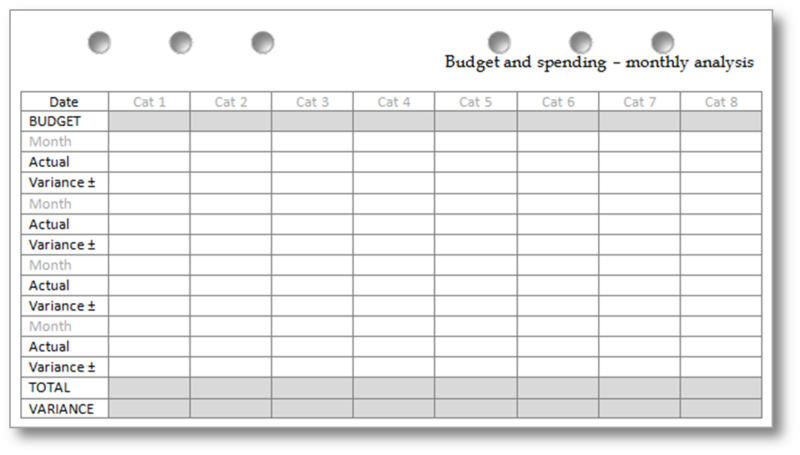 This sheet allows you to record monthly totals and analyse your actual spending by category and variance to your budget over a four month period.